a) This is it! Phonogram’s finish… forever! b) We’re doing it again this time, no idea about the future. Have you guys caught onto the Belbury Poly sound? FINALLY. Thank god. I had to do awful, unforgivable things to get my hands on Phonogram while I was overseas. Now that I’m back in the states I imagine it should be much easier. Also, congrats on being able to do the thing you obviously love so damn much. going to do a 5k moonwalk in celebration. Wunderbar! 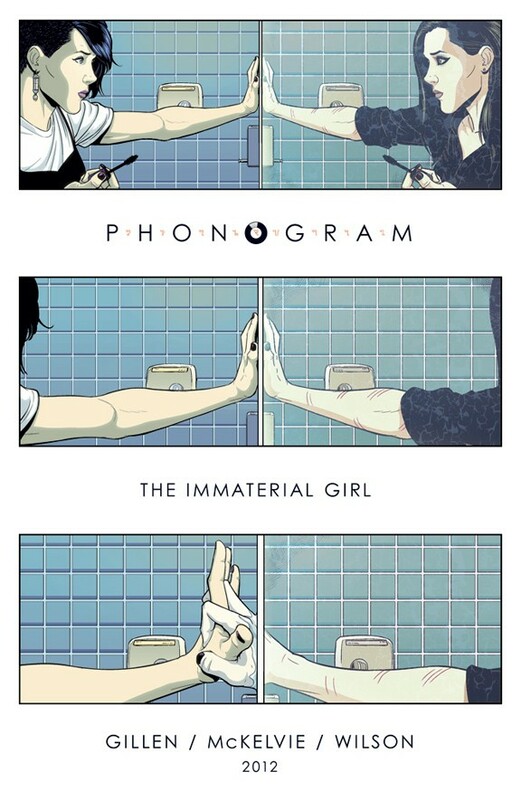 When you told me at the NY Comic-con two falls ago that there would be no more Phonogram, I was crushed. I couldn’t accept it. So, every Satuday at 10:45 pm since October 9th 2010, I persevered and played Pull Shapes with “Clap your hands if you want some more.” I guess the spell worked.